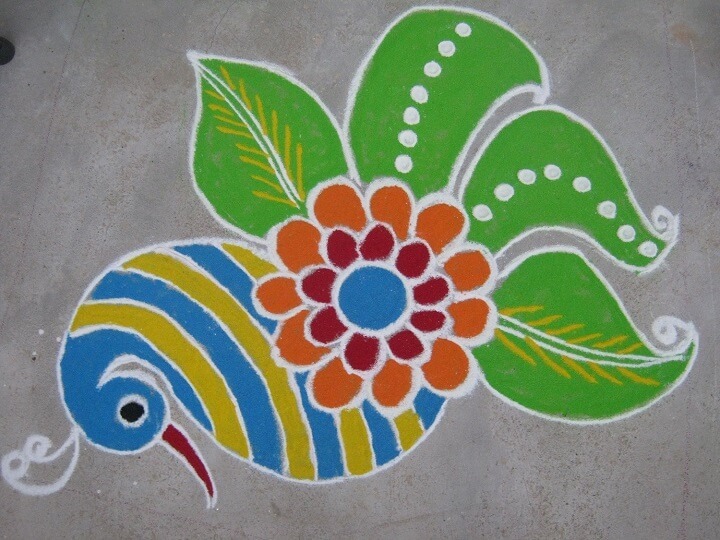 The national bird of India “Peacock” is most famous for its vibrant and colorful wings, which are made of blue, green, yellow etc. 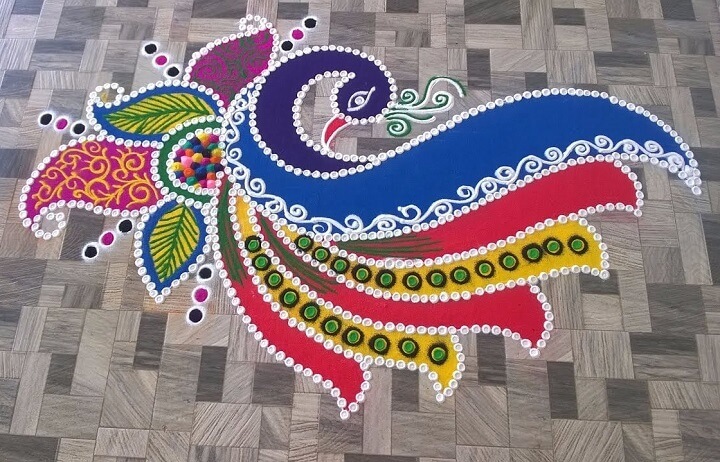 This is a beautiful scene when the peacock keeps its wings happy. 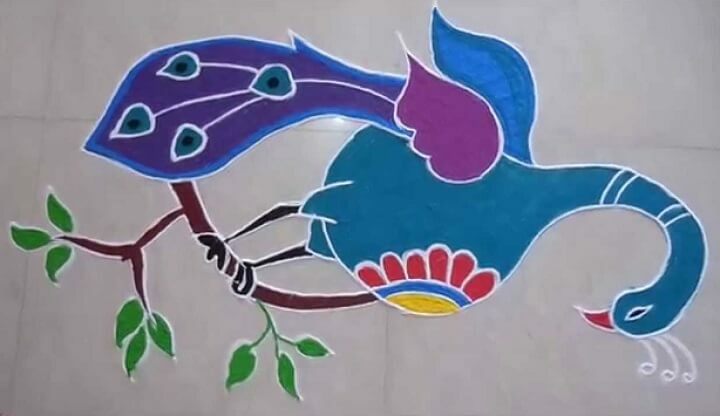 We Indians have taken inspiration from this beautiful bird for generations and it can be seen in our colors. 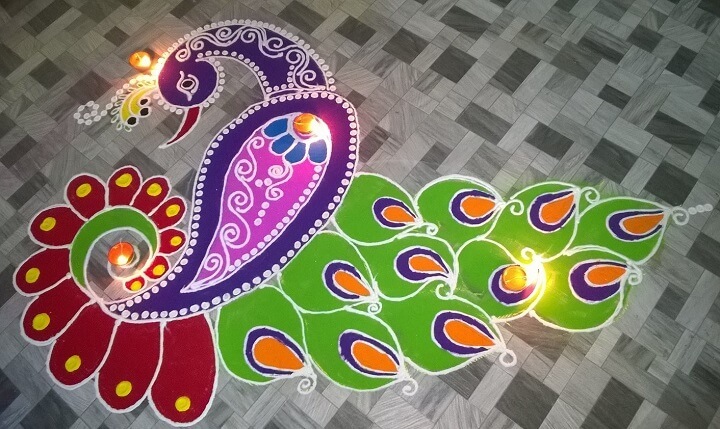 Here we have selected some of the finest colorful design inspired by peacocks. 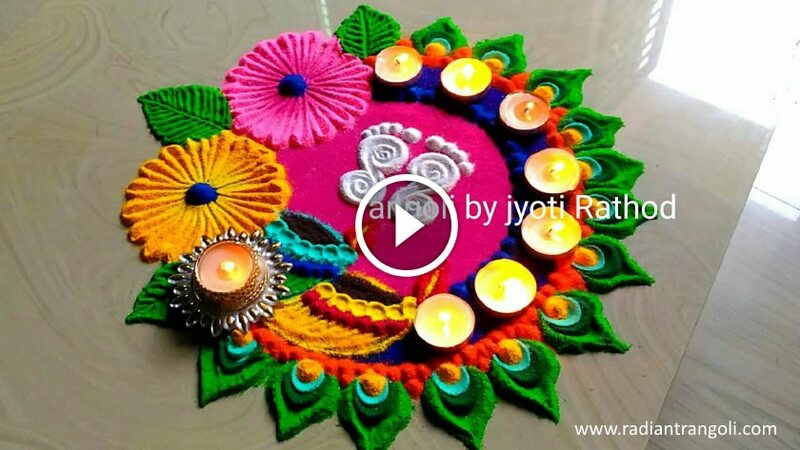 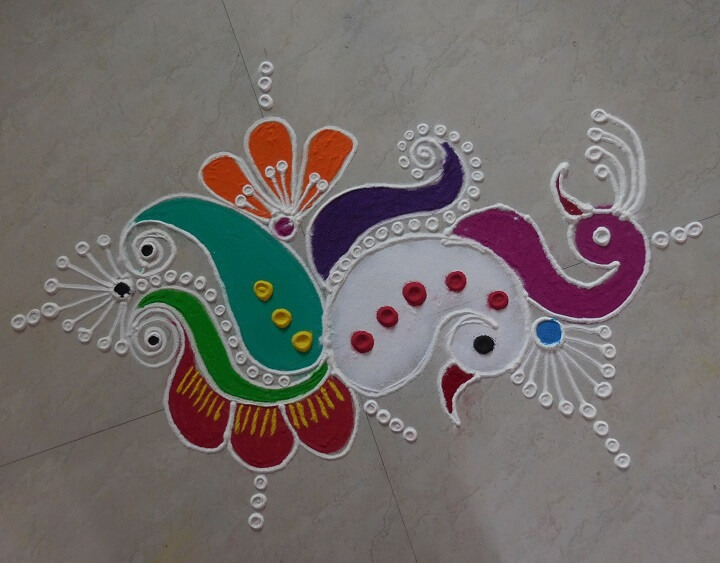 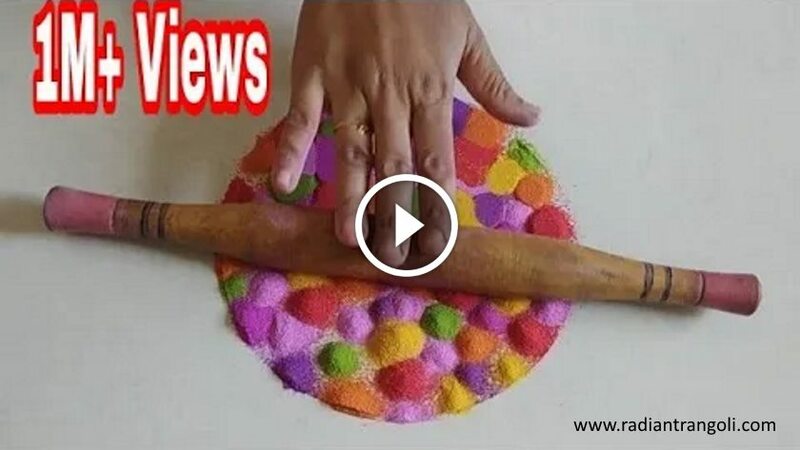 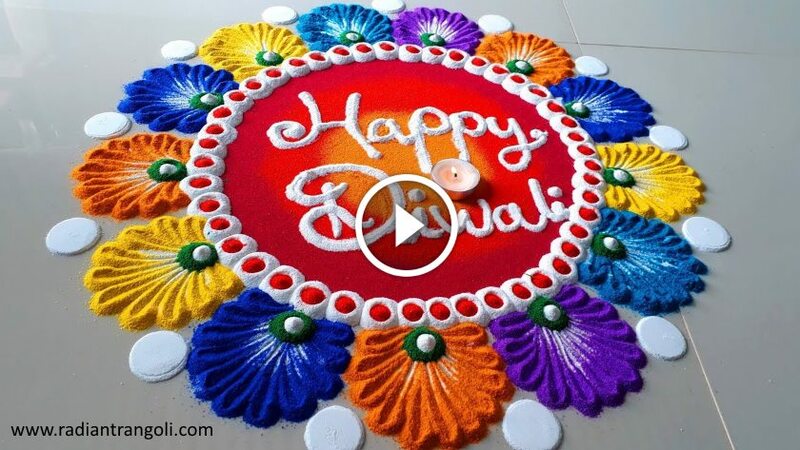 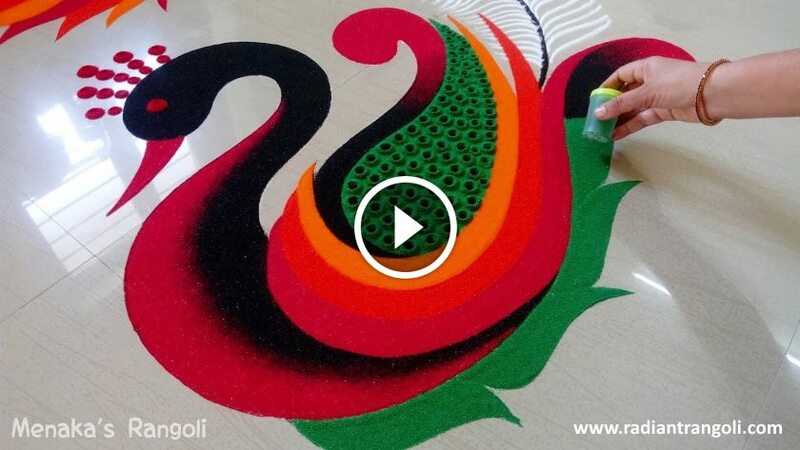 We know that many of you are not very addicted to making Rangoli, so we have included some simple people too. 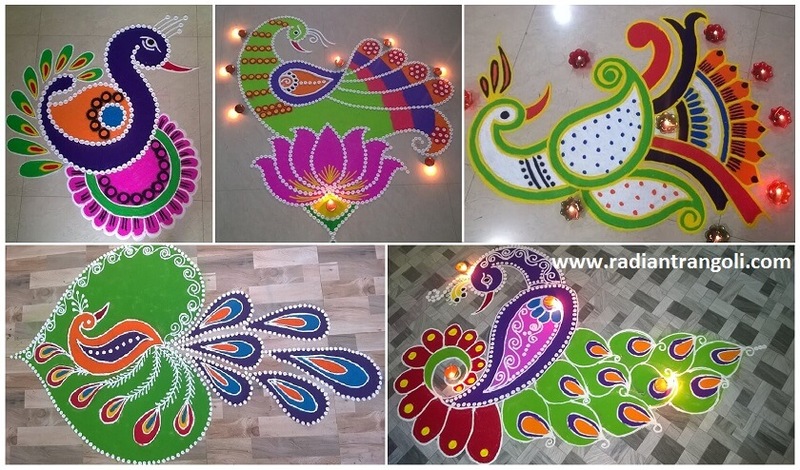 Peacock (More) Rongoli designs are not associated with any one festival, but many of them are with. 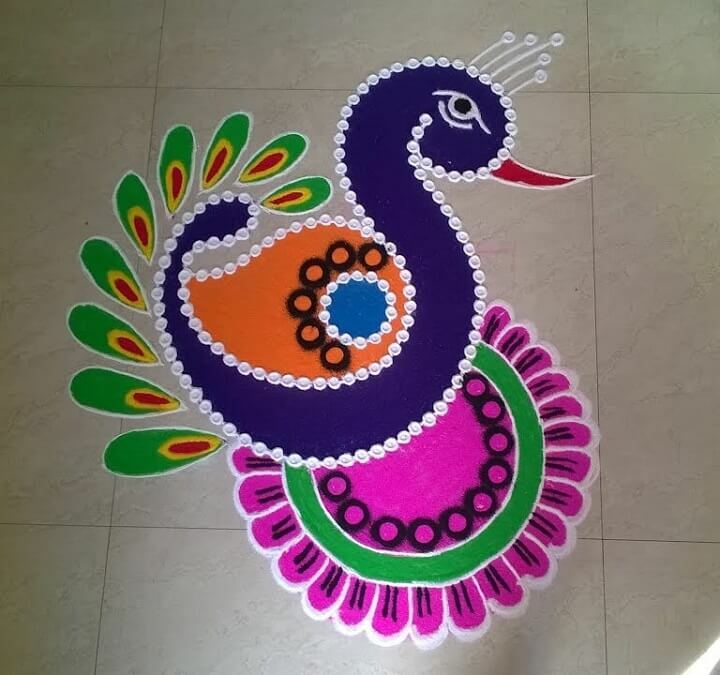 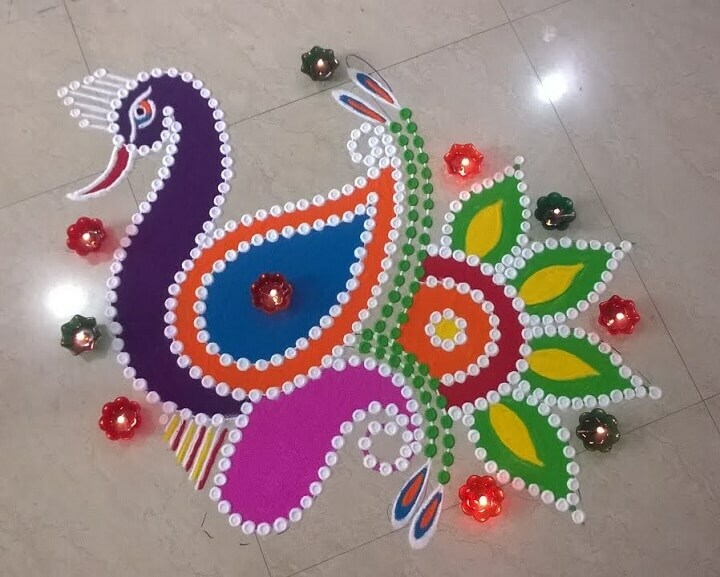 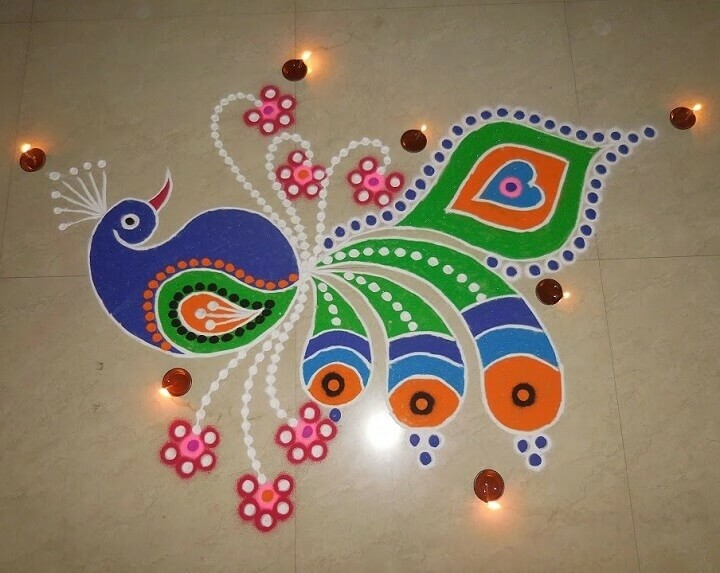 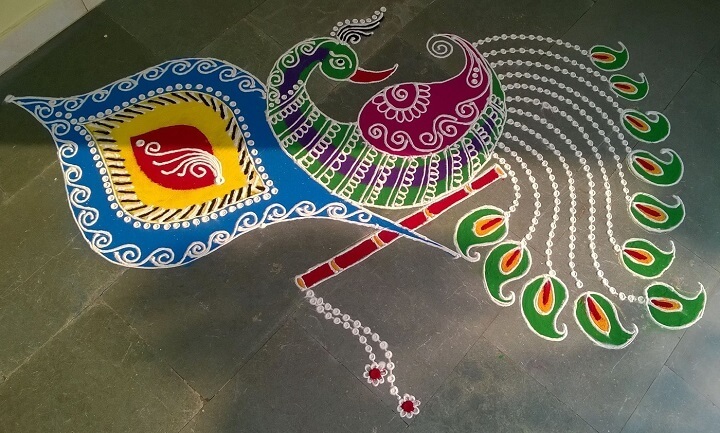 Peacock Rangoli is very common on festivals like Diwali, Dussehra, New Year and many other Indian festivals. 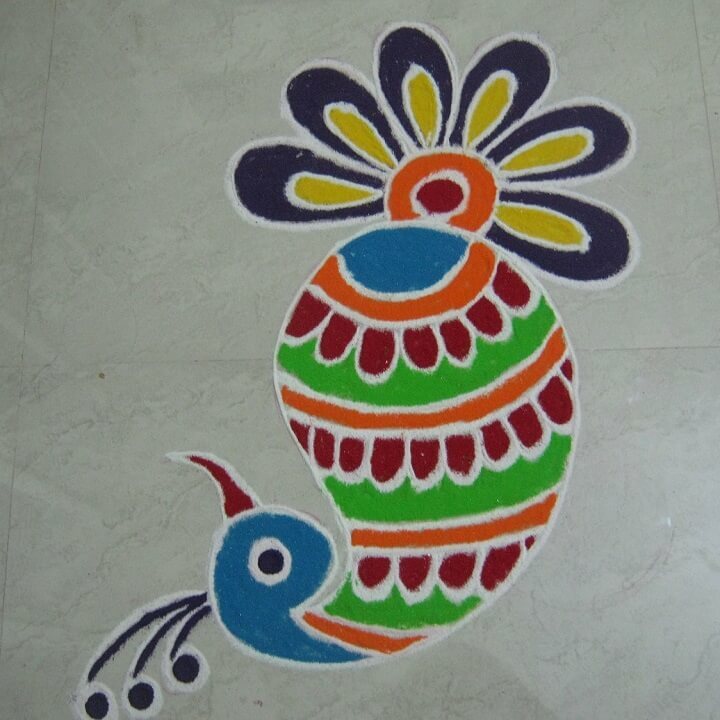 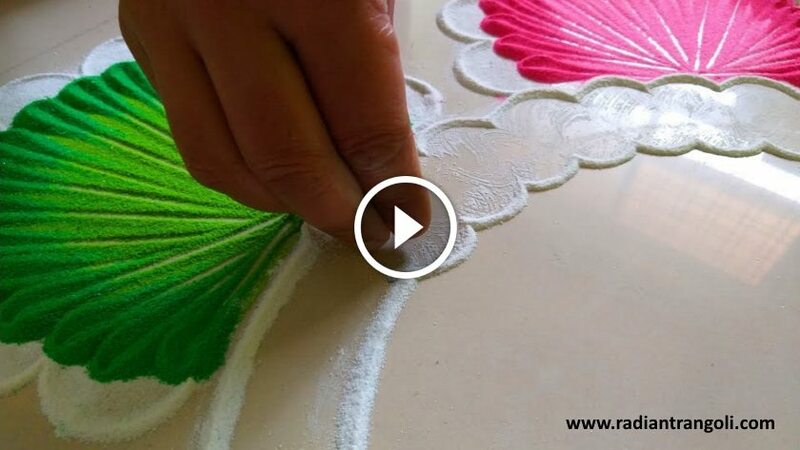 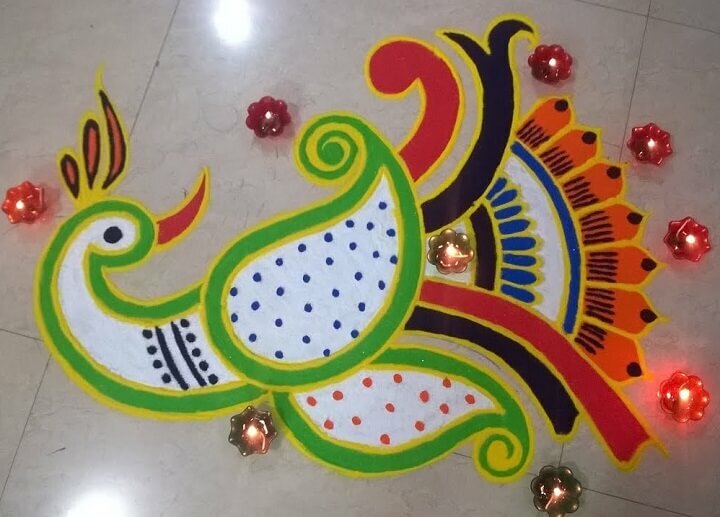 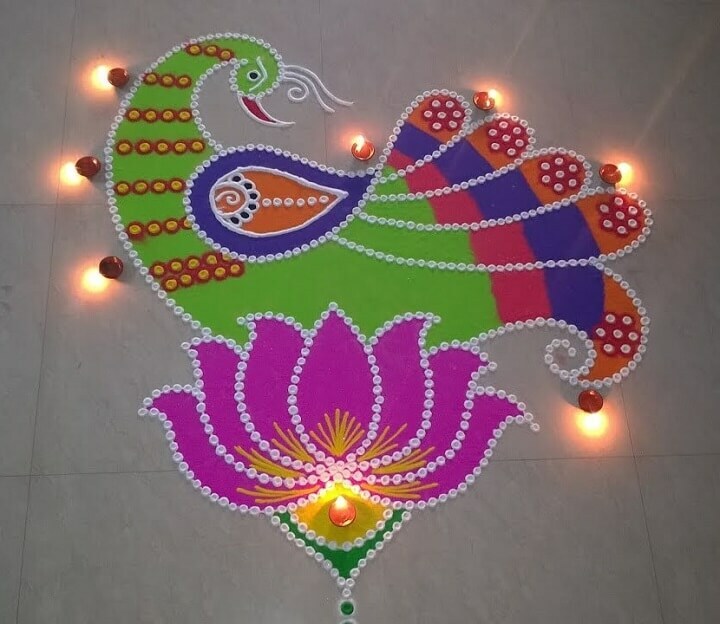 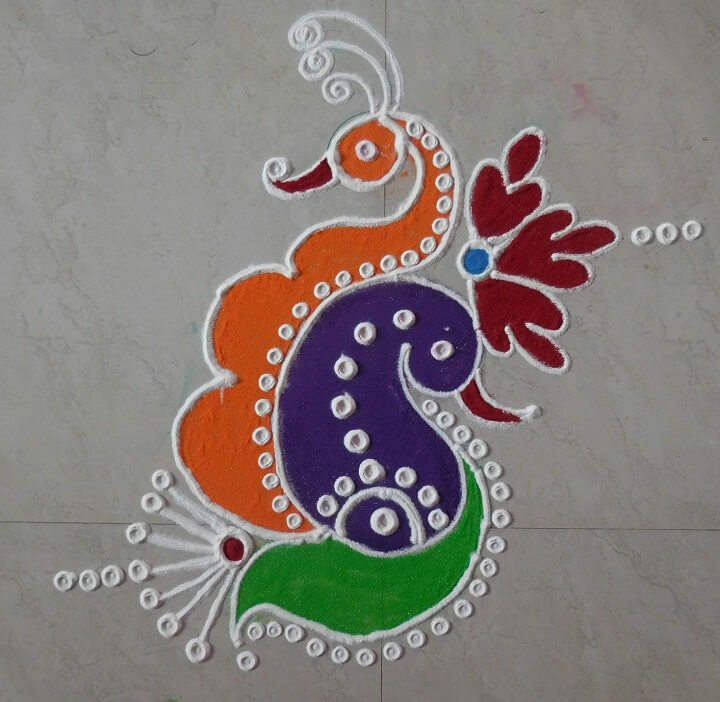 Due to the multi color nature of Indian peacock, many beautiful Rangoli designs include either full birds or feathers. 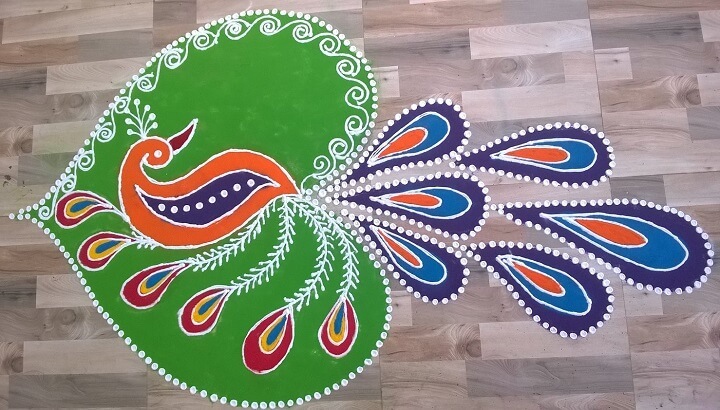 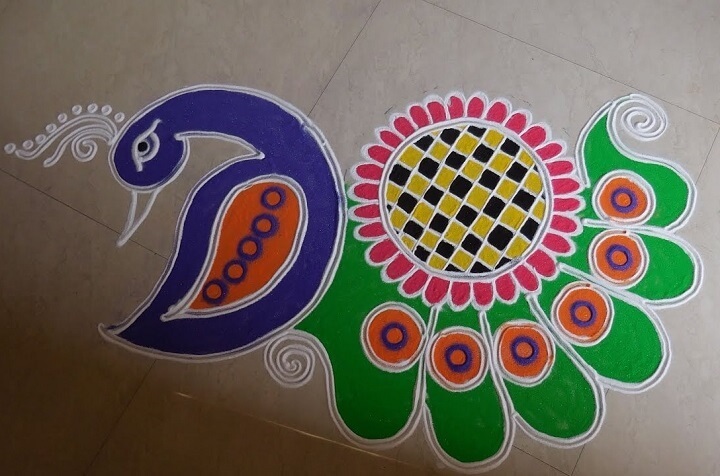 Hope you like our collection of peacock rangoli designs.